Don’t you just love your first fresh peach of the season? 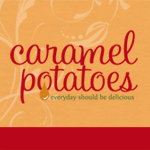 The smell is like no other, and the taste is pure enjoyment! 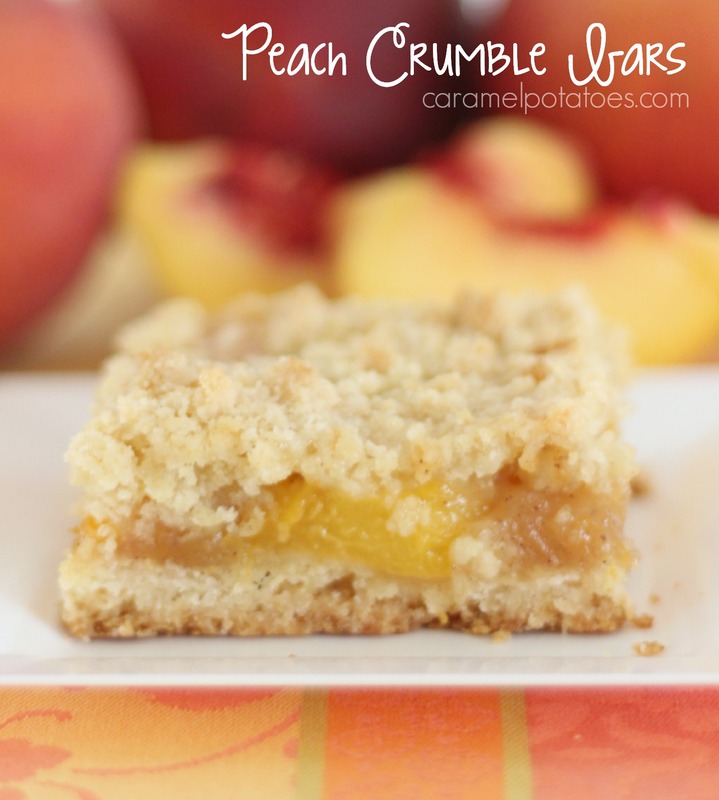 That signature flavor comes alive in these wonderful Peach Crumble Bars – easy to make and easy to serve. It’s all that sweet summer flavor sandwiched in a sugar cookie! These sweet treat is an amazing ending to any meal. Just cut and serve – or if you prefer, add a scoop of vanilla ice cream. Preheat oven to 375. Grease or spray a 9×13 baking pan. To make the filling: Place the peaches in a large bowl and gently stir in the lemon juice. In a separate bowl mix together the flour, sugar, salt, cinnamon and nutmeg. Gently stir the sugar mix into the peaches. Set Aside. In a medium bowl mix the flour, sugar, baking powder, and salt. Use a pastry blender to cut in the butter, and then the egg and vanilla. The dough will be crumbly. Press half of the dough into the prepared pan. Reserve the other half of dough. Bake for 40- 45 minutes, or until the top is slightly brown and the center is set. Cool completely before serving. P.S. 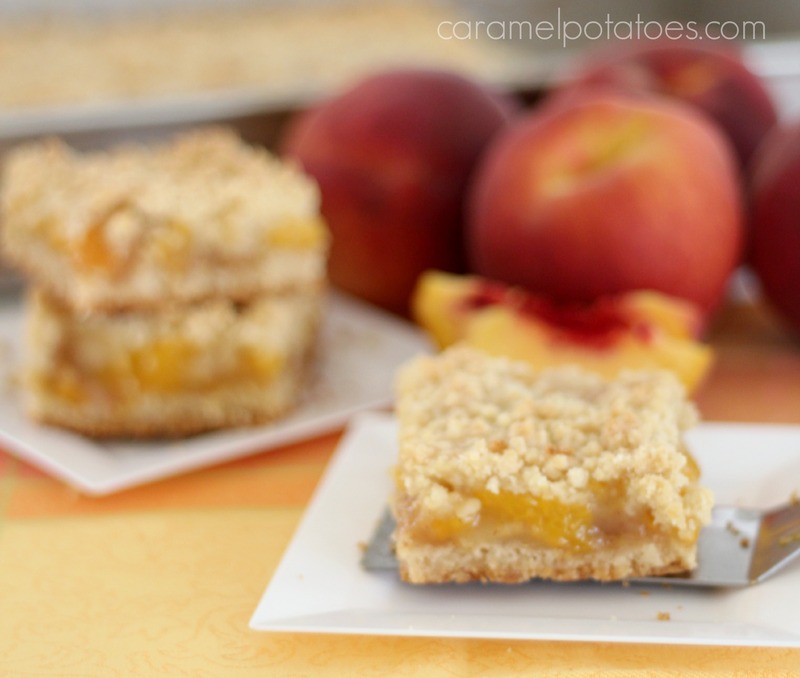 If you are really loving peach season, try this Fresh Peach Pie for another amazing peach experience!